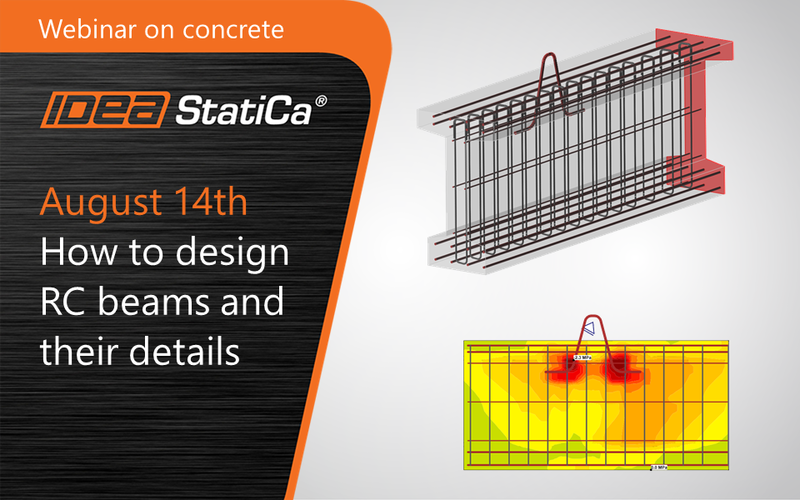 From time to time we get to design more challenging reinforced concrete beams than usual. How to solve them with the more advanced approach with construction stages and all challenges in the design process? We will do our best to show practical workflow how to do that in IDEA StatiCa Beam and we will show one particular example of hanging in IDEA StatiCa Detail. Join our webinar on Tuesday, August 14th: the first at 11:00 CEST, followed by another one at 12:00 EDT.